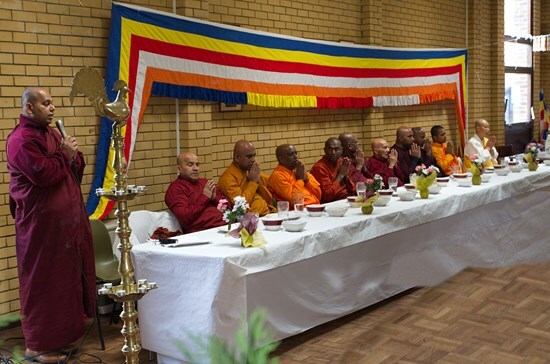 Annual Kathina Ceremony of Letchworth Dhamma Nikethanaya Buddhist Cultural Centre was held on Saturday 02nd November 2013 at St Michael’s Church Hall in Letchworth Garden City with a large gathering of venerable monks and cosmopolitan members of community. 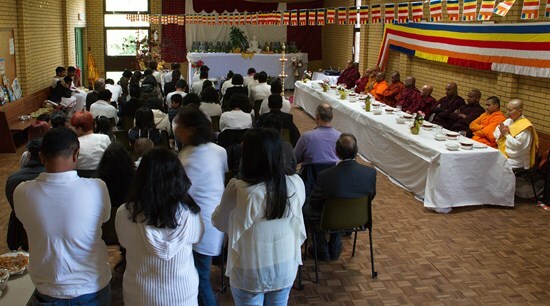 This is the tenth consecutive Kathina Ceremony held by the Dhamma Nikethanaya Community. 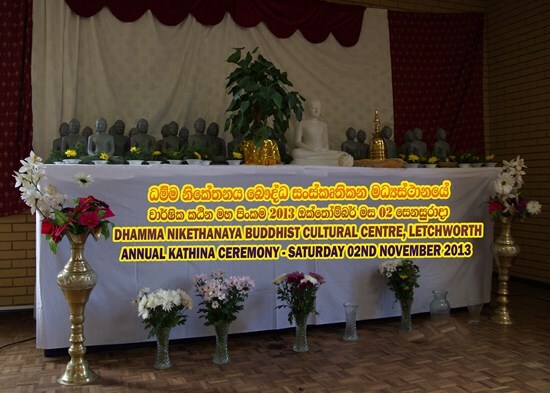 The Annual Kathina Ceremony of Letchworth Dhamma Nikethanaya Buddhist Cultural Centre was held on Saturday 02nd November 2013 at St Michael’s Church Hall in Letchworth Garden City. 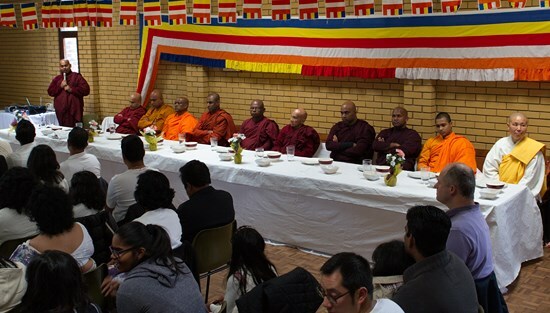 A large gathering of venerable monks and cosmopolitan members of community participated at the tenth consecutive Kathina Ceremony held by the Dhamma Nikethanaya Community. The Kathina Ceremony is one of the biggest Buddhist festivals and regarded as highly meritorious and significantly blissful. 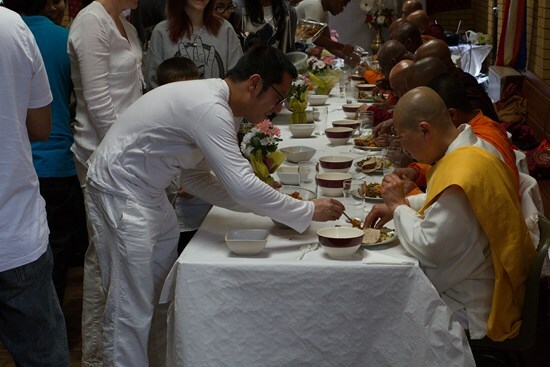 It is a ceremony held to mark the end of the annual three-month spiritual rains retreat, observed by venerable monks residing at the monastery. 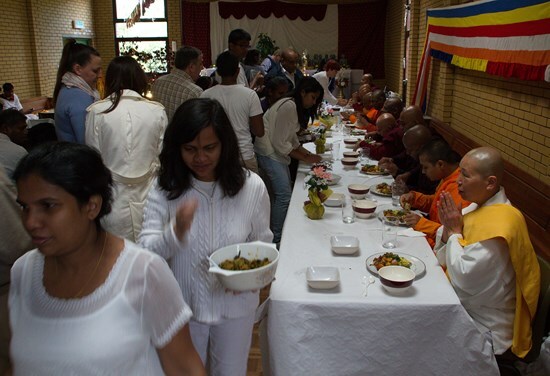 The members of the community engage fully by contributing more time and efforts for practising Meditation, Studying Dhamma Teachings, Practising generosity (dana), observing Moral Conduct and conducting lots of Blessings Pooja. 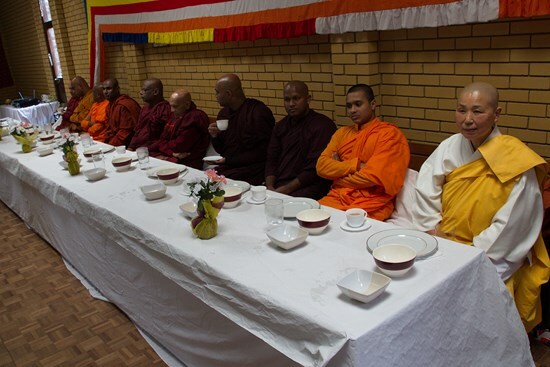 Accustomed to this 2600-year old unhindered tradition, monks at Letchworth Dhamma Nikethanaya Buddhist Cultural Centre observed this year’s rains retreat on Sunday 20th July (Esala) Full Moon Day 2013. 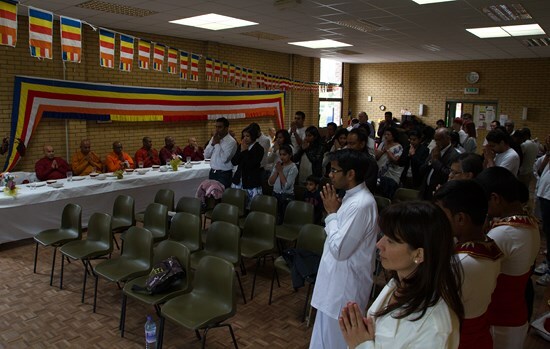 During these three months, the public from all walks of life had a wonderful opportunity to learn much of Buddha Dhamma (teachings of the Lord Buddha) for peace and happiness in their daily lives. 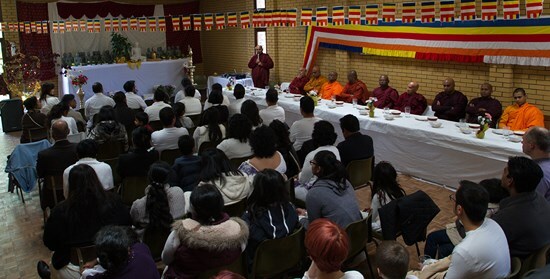 The Dhamma Nikethanaya Buddhist Cultural Centre community hosted this year’s ceremony particularly to uphold its values of paying gratitude to their spiritual teachers (monks) for their relentless contributions towards the cohesion and well-being of the community. 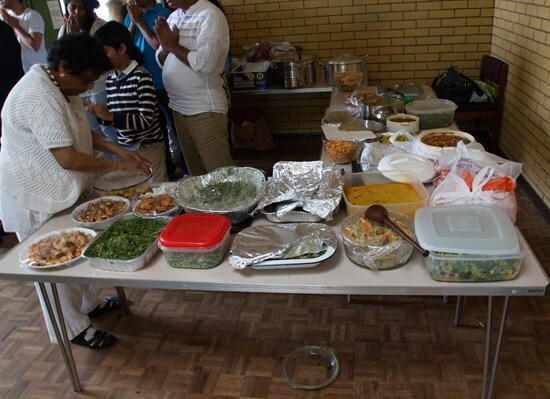 Among the highlights of this year, the Children of Dhamma Nikethanaya Community enthusiastically engaged in the customs taking a leading role. 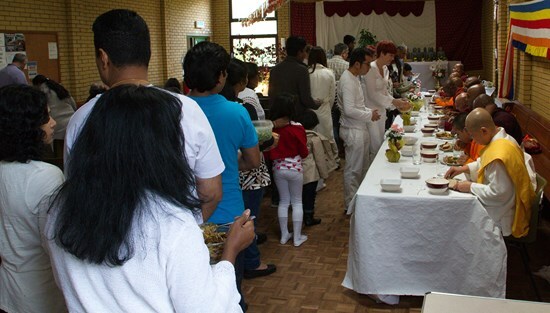 Everyone highly appreciated the well-attended and colourfully organized but very educational and spiritual ceremony. 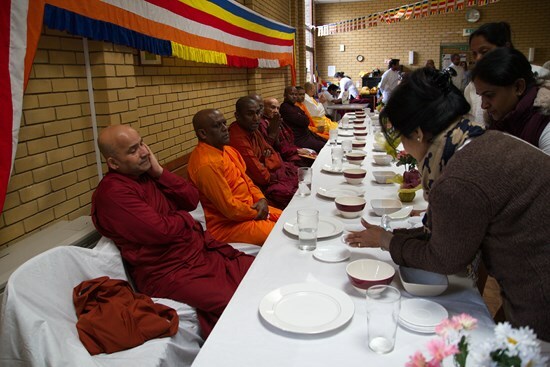 It was organized under the guidance of Venerable Akurala Samitha, the head monk of the centre. 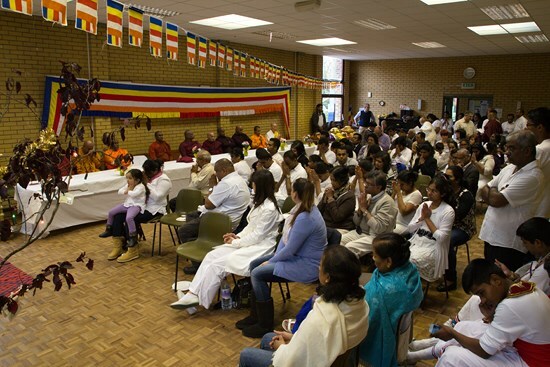 The community was very grateful to the wisdom and remarkable dedication of Venerable Akurala Samitha particularly for children’s educational programmes. 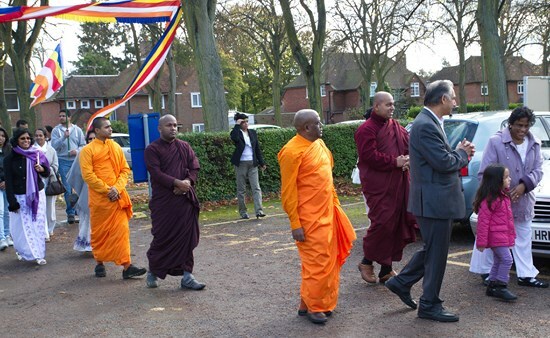 The local community appreciated very much the opportunity to experience the traditional cultural items of the ceremony; for example, traditional Kathina procession (perehera) wending around the city as usual to typical historical custom with cultural drummers, monks proceeding with chants for peace, carrying Buddhist flags and carrying the sacred relics of Lord Buddha, a Sacred sapling of original Bodhi tree and the Kathina Robe. Buddhists believe observing this every year is a great blessing to the city to ward off evil and bring prosperity. 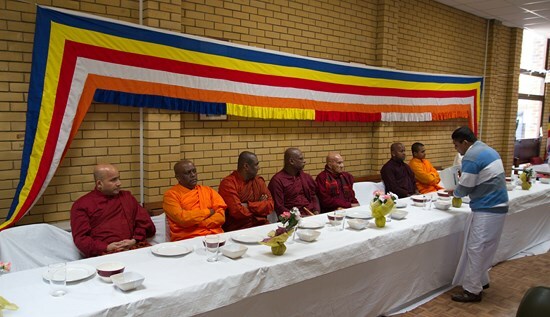 The presence of over 12 venerable Buddhist Monks representing monasteries in UK was spectacular at this year’s ceremony. 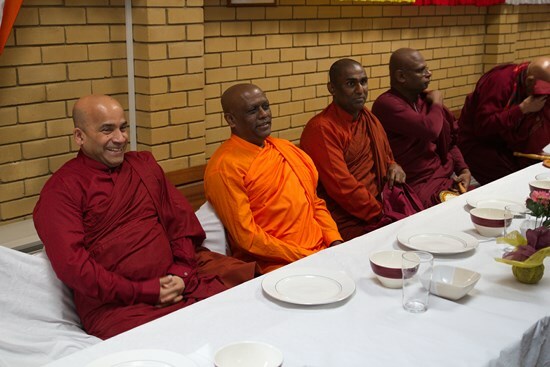 Among them were Most Venerable Tawalama Bandula Maha Thero (Deputy Head Monk of London Buddhist Vihara), Most Venerable Makure Mangala Maha Thero (Head monk of East London Lumbini Buddhist Cultural Centre), Most Venerable Kahatthewela Chandajothi Maha Thero (Head Monk of Thames Buddhist Centre), Venerable Waskaduwe Subodhi Thero (Representing the Head monk of London Kingsbury Vihara), Venerable Medille Pannaloka (Representing the Head monk of Birmingham Maha Vihara), Venerable Sister Y Maruta (Milton Keynes Peace Pagoda Nipponzan Myohoji Buddhist Temple), Venerable Konwewe Ariyarathana Thero (resident monk of London Buddhist Vihara), Most Venerable Matale Wijewansa (Thapowanaya, Anuradhapura Sri Lanka representing Kingsbury temple), Venerable Ehaliyagoda Ariyaseela Thero (Minuwangoda Sirinikethana Pirivena represented East London Buddhist Cultural Centre), and Venerable Kohukumbure Siridhamma Thero (Thames Buddhist Vihara). 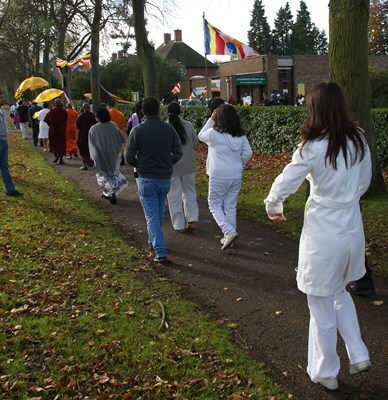 The day programme commenced at 9AM with the Kathina Robe being brought in a colourful procession through the Letchworth Garden City town Centre to the ceremony hall, offering gifts and food to monks, listening to dhamma talks delivered by monks, blessings chanting and sharing food with all. 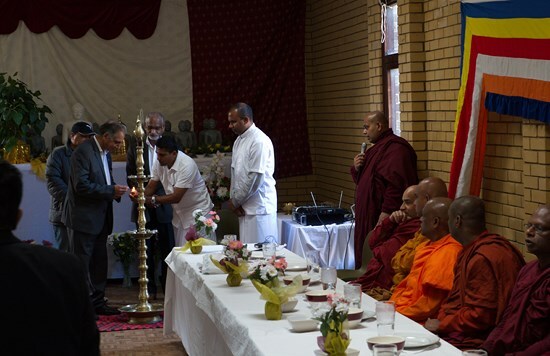 A delegation of devotees of Thames Buddhist vihara headed By Dr Herath Kularathna, the president of vihara management committee also attended to appreciate Venerable Akurala Samitha’s extended support towards their community. 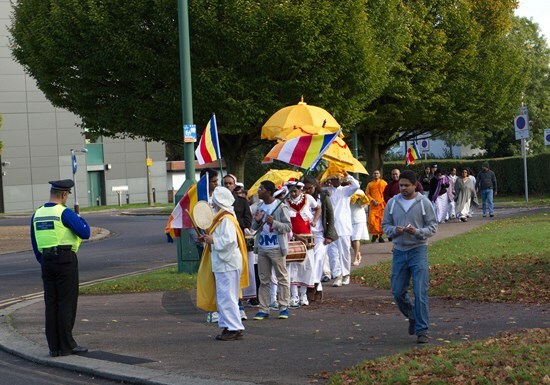 Children of Thames Buddhist vihara including Gayan Amarasinghe, Ruchira Jayathilake & Nishan Amarasinghe added extra elegance and delight to the ceremony with their traditional Sri Lankan drumming dressed in typical costumes and walking well over a mile in the procession. 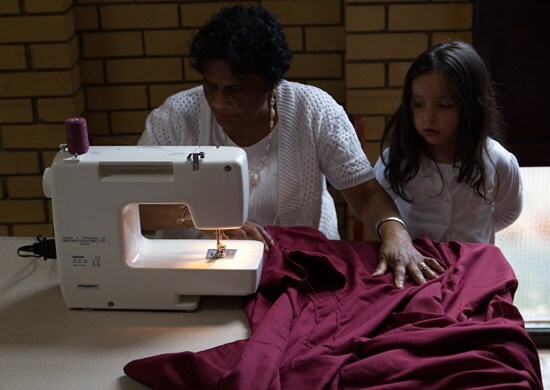 On behalf of all the dayakas (members), Dr Mahesh Dias and Mrs Ratnawalie Dep offered the Kathina Robe together with all the children of the community. 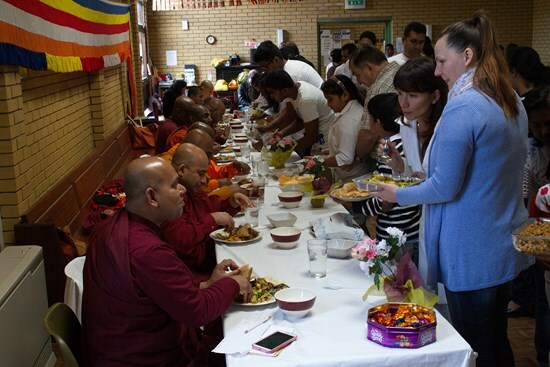 The Blessings chanting by the Venerable monks followed after Venerable Akurala Samitha thanked all for their enormous support by many means like financial donations and preparing dana items, to make this year’s Kathina ceremony a huge success. 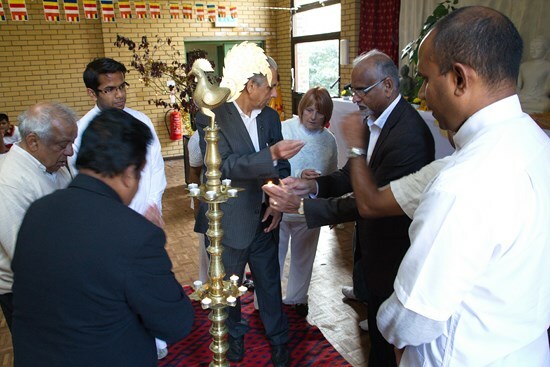 Special thanks were also offered to all the venerable monks, Children and devotees of Thames vihara, Mr Nihal & Mrs Indika Jayathilake who co-ordinated drumming children and Hertfordshire Police Community Support Officers Mrs Carla Little and Mr Martin Barringer. 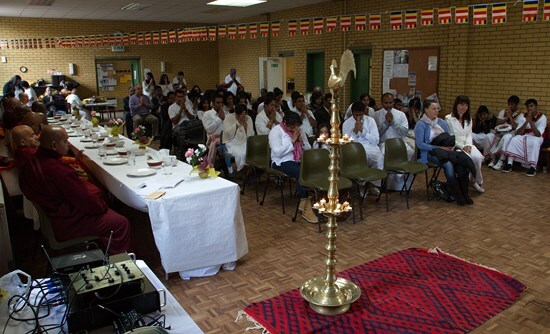 Venerable Samitha also invoked the blessings particularly on Miss Padma Wijeratna who co-ordinated ceremony arrangements and volunteers including Mr Des Raj, Mrs Pushpa Raj, Mrs Ratnawalie Dep, Dr Thura Limbin, Mrs Cheryl Green, Miss Ursula Tylki, Miss Szilvia Bukta, Mr Zoltan Mako, Mr Eddie Evans and Mrs Lorrain Hillman. 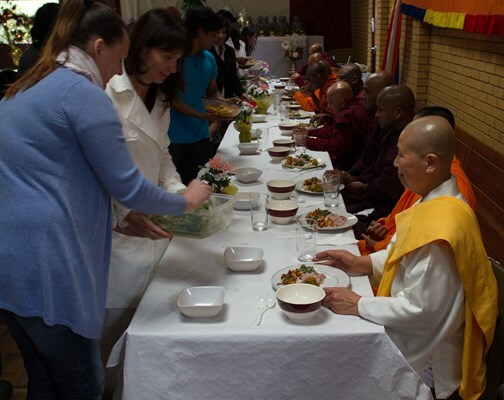 For more details please visit our website www.buddhistacademy.com. May the Blessings of this greatest meritorious deed fulfill, without exception the aspirations of all, and lead to the everlasting happiness Nibbana! May all be secure, well and happy with noble blessings of the Triple Gem! 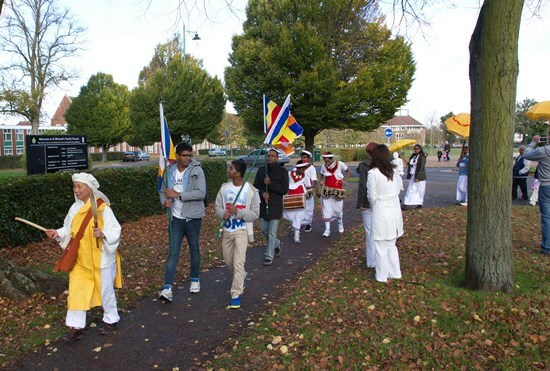 Kathina Procession 2013 setting off from the Dhamma Nikethanaya Buddhist Centre, Letchworth. Annual Kathina Procession moves through the village with the kind assistance of the Hertfordshire Police Community Officers. Devotees carrying objects of veneration in the Kathina procession. 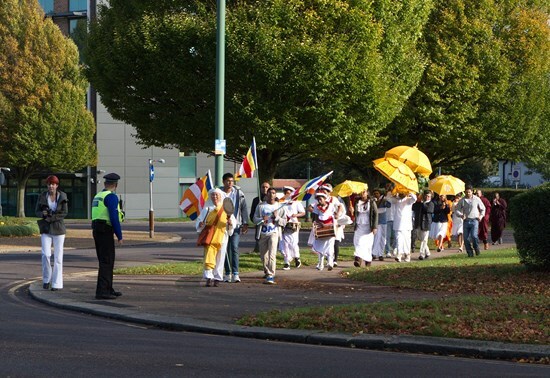 Kathina Procession led by Venerable Sister Y Maruta of Milton Keynes Peace Pagoda, proceeding through Letchworth Garden City town centre. Venerable Monks attending the Kathina Procession. Kathina Procession reaching the ceremony venue. 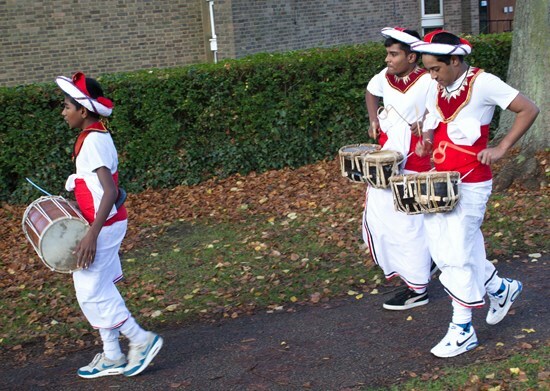 Thames Vihara Children attending the procession with traditional drumming. 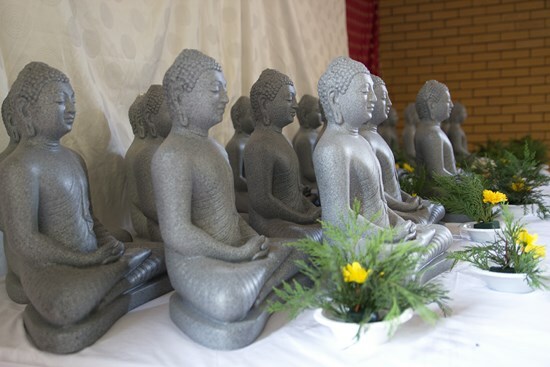 Carrying the Samadhi Buddha statue in procession. Devotees with a sapling of Sacred Bodhi Tree in the Kathina Procession. Devotees taking kathina robe in procession. Devotees lighting the traditional oil lamp. 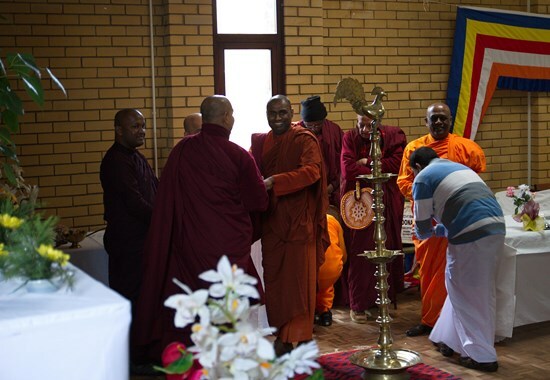 Venerable Akurala Samitha welcoming Venerable Monks, guests and all the devotees. 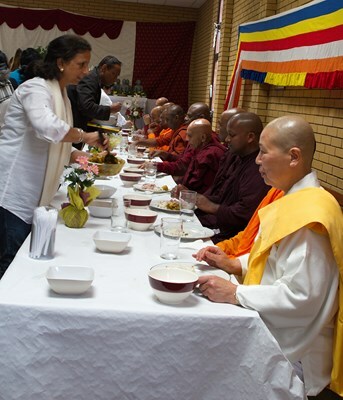 Devotees offering Dana to Venerable Monks.